With just a few days left until Warner Bros. releases their highly-anticipated Wonder Woman movie across the world, fans are more excited than ever, with the buzz growing even more after the first wave of positive Wonder Woman reviews have started pouring in. Today we have word that the a Lebanese group known as Campaign to Boycott Supporters of Israel-Lebanon is calling for a nationwide boycott of Wonder Woman throughout Lebanon, merely because its star Gal Gadot was is from Israel. Here's a brief statement from the group's Facebook page, where it states that playing a film with an Israeli lead actress is actually illegal. "Playing a film #WonderWoman in which she is featured (as the main actress) is against the Lebanese law. In addition she supported the israeli army during its attack on Gaza, served in the israeli army for 2 years (as israelis usually do), and boasted about the army training her for Hollywood." The Hollywood Reporter is reporting that a security official from Lebanon says there's no formal request for a ban of the upcoming Wonder Woman movie. The security official, speaking anonymously, said that a ban would need the recommendation from a six-member committee that is part of the Ministry of Economy, but that process has not yet begun. The movie is scheduled to debut in at least one movie theater in the Lebanese capitol of Beirut, where posters and digital billboard have started to sprout up in the days leading up to the premiere. Lebanon has been at war with Israel for several decades, and the country has a law in place that prohibits Lebanese citizens from buying Israeli products, and bans travel to Israel or any contact with Israeli citizens. 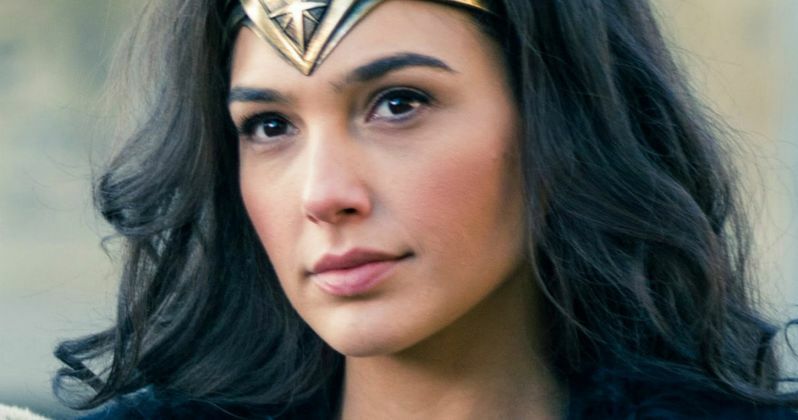 This campaign claims that this movie starring Israeli actress Gal Gadot should be banned not only because she was a former soldier in the Israeli army, but because she supports Israeli military actions against the Palestinian-controlled Gaza Strip. Here's what Samah Idriss, a member of the boycott campaign, had to say to the Associated Press. "The state took the right decision. We now await the implementation.... Even if it is one hour before the show, they should ban it anyway. We don't separate art, even romantic movies, from the role of the artist and the intellectual on the ground." There are some from Lebanon who oppose the potential boycott, such as Lebanese blogger Elie Fares, who stated that the movie would have already had to be approved by the Lebanese government to be shown in the country. He added that the superhero role Gal Gadot is playing has no connection to her Israeli heritage, and therefore shouldn't result in a ban. Here's what he had to say below. "Resist what? A movie about an iconic superhero who's been part of pop culture for over 70 years. A movie in which the lead actress happens to be Israeli but who's not portraying ANYTHING related to her 'country' in any way whatsoever." Despite the controversy in Lebanon, Wonder Woman is still scheduled to open in the United Arab Emirates, Qatar and Kuwait on Thursday, June 1, with a release in Oman set for June 22, and in Bahrain on June 29. There have already been a few different movies banned in Lebanon this year, despite the fact that the country has more freedom of expression among its citizens than other countries in the region, with the censorship due to either Israeli content or controversial stances on religion and homosexuality. An Egyptian movie dubbed Mawlana, which centered on a celebrity Muslim cleric, and Beach House, a Lebanese movie following friends discussing their sexual identities, were both banned in Lebanon, although they were both shown in Egypt. It is unclear if Gal Gadot or director Patty Jenkins will offer any sort of response to this potential Wonder Woman Lebanon ban.